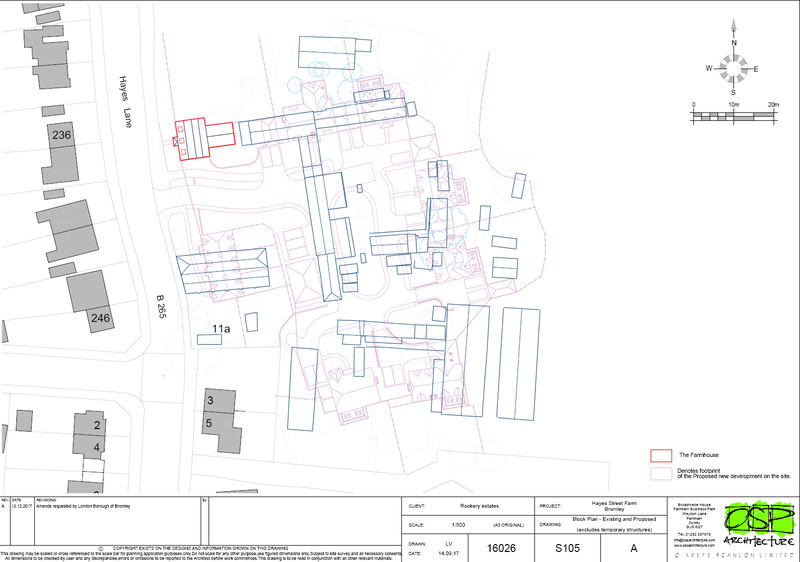 Following the submission of the plans for redeveloping the farmyard at Hayes Street Farm, your local councillors have been in pressing owners Rookery Estates for clarity on the future of the rest of the land. The open farmland is not part of the development plans, and as ‘virgin’ green belt is heavily protected against future development regardless of whether the farmyard plans are approved or not. Understandably though, many residents are still worried about what may happen once the farm is no longer operating in its current form. Rookery tell us that they “envisage having horses on the farm for the foreseeable future although these will be live out horses. No new livery buildings are anticipated. The fishing lake has been let for 10 years so [we] expect this to continue into the future”. On the future of the boot fairs, George Hoeltschi “has been given permission to hold boot fairs for the next 2 seasons only but Rookery would probably need to curtail this after this year if planning permission is approved for the development”. Questions remain though about how the future of the rest of the farm can be further secured. Local opinion is split on the boot fairs, but will the land still be viable with just the trout fishery and only live-out provision for horses, for example? As regards the development proposals themselves, the application for the farmyard plans is open for comment until 24th January. As your local councillors we will be formulating our own detailed response to the plans soon and have already asked that the application is put before a committee for a public hearing, should the recommendation from planning officers be for approval. Rail services from Hayes to Cannon Street are set to end under plans set out by the Department for Transport (DfT) late last year. However, new services are set to replace them. The DfT is inviting train operators to bid for the South Eastern rail franchise from April 2019 with the major changes coming in December 2022. For the Hayes line the bid specification (pdf 93kb) demands the Hayes to Charing Cross service should run non-stop from Ladywell to London Bridge with, optionally, stops at Lewisham only in rush hour. However, a new service to Victoria will also commence which will include Lewisham stops and open up a wider range of South London stations such as Denmark Hill (for Kings College Hospital). There appear to be no plans for a Cannon Street service. It was over three years ago that Transport for London controversially suggested an extension of the Bakerloo underground line to Hayes, which would have seen an end to any direct services to either London Bridge or the City. Those plans now appear to have been subsequently shelved. These new plans, although coming from central government this time, will still see the more direct City link severed, though a London Bridge connection remains allowing changes for Cannon Street as well as Blackfriars and beyond with the completion of the new London Bridge station. The technical justification for the changes is to reduce train congestion around Lewisham and so make for more reliable services. We would be keen to hear what Hayes train users think. 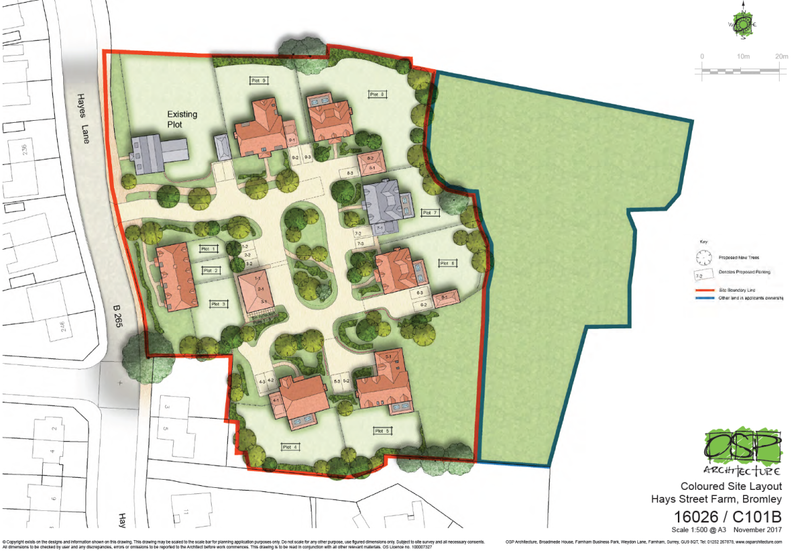 Plans for housing on part of Hayes Farm have naturally caused a lot of concern, and the detailed proposals have just been submitted to Bromley Council. Hayes Farm is already due to close following the retirement of the farmer, the farm having been a part of Hayes life for centuries. The new plans are to build nine homes only on the area currently occupied by the existing buildings, many of which are dilapidated. The farmhouse, a listed building, is unaffected and there are no plans to build on the open farmland. Many objections already made centre on the future of the wider site, which is not part of the application and is green belt which the council is committed to protecting. The proposals for the farmyard area won’t affect the status of that surrounding land. As your local councillors we are taking a keen interest in the plans, and will be looking in detail at the proposals, with an eye to protect the green belt and openness of this part of Hayes. The full plans can be seen here.